So, I figured that it’d be nice to start the week off with a list of links that I’ve found and posted over our Twitter feed from the past week. Enjoy the schmorgasboard of URLs! 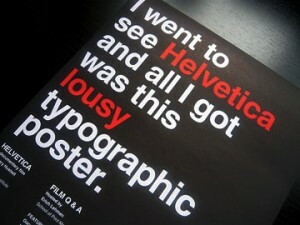 “Helvetica” Movie Poster in the International Typographic Style Flickr Pool.